Two WAVES handle control tower duties at Naval Air Station, Moffett Field, California. With the “mike” is Janna Hoffman and Helen Lu Dooley handles the phone. 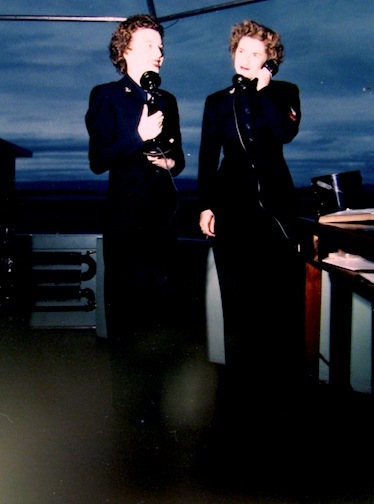 This week we’re featuring only color World War II-era photos. This photo comes from the National Archives.